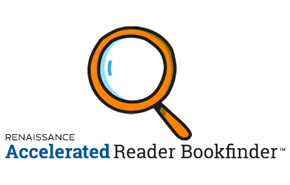 Research book titles that satisfy your level and points requirements ahead of time from home using Accelerated Reader Bookfinder™ or you can use a computer at the Library to do this. To make sure you get the books you want to read, come to the library a few weeks before you are scheduled to take your test. Use the St. Tammany Parish Library catalog to see if the book you want is available. You can place a hold on a book from home from the online catalog. You can also call your local branch library and ask them to hold the book for you. Remember that other students are looking for similar books. If the book you want is checked out or your branch does not have a copy of it, in most cases the book can be borrowed from another St. Tammany Parish Library branch or from another library system. But please be aware that this process may take at least a week, and possibly as long as a month or more. If you use Overdrive to access e-books and e-audiobooks, these titles are searchable by AR level.